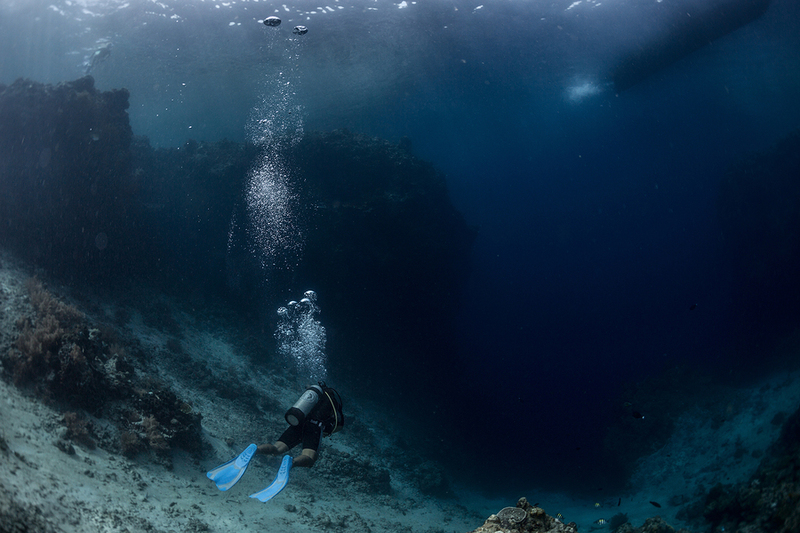 Buoyancy issues can cause injuries among divers. Barotrauma, uncontrolled ascents and marine life injuries are buoyancy control accidents preventable with caution and awareness. Descending deeper than planned on a dive is extremely dangerous. And it’s one of the many unfortunate results of lack of buoyancy control. So making constant adjustments to your buoyancy control device is not recommended, as doing so can increase air consumption. Ear injuries can also be caused by ineffective buoyancy control. And uncomfortable pressure in your middle ears or sinuses during a descent are warning signs that you should control your descent immediately. A diver should ascend until the pressure resolves first, then attempt to equalize. And he/she should only continue to descend if the attempt is successful. Another buoyancy issue — perhaps the worst — is an uncontrolled ascent. It puts the diver at risk for an arterial gas embolism, a lung over-expansion injury or pulmonary barotrauma. Marine life injuries are also a result of improper buoyancy control. Unintentional contact between a diver and marine life can cause injuries to both. It can also damage the environment, and can be prevented by conducting pre-dive buoyancy tests. Select weight that will allow you to descend without sinking. And always conduct pre-dive buoyancy tests to determine proper weighting before diving. Proper buoyancy requirements are determined by different variables. An experienced diver will calculate weight requirements for different exposure suits, diving environments, as well as tank size and composition. So test how your Buoyancy Control Device, or BCD, responds to the addition and venting of small amounts of air. Buoyancy also changes during the dive on both the descent and ascent in your wetsuit. Compression in your wet suit decreases buoyancy during descent. By contrast, the air in your wetsuit and BCD expands during ascent, which increases your buoyancy. Keep in mind that as the gas in your tank depletes, its buoyancy increases during ascent. So always take precautions before diving in. It could make the difference between a positive or negative life-changing experience. ← Antique Mercury Car Spotted in Wesley Chapel is Badass!